What can be more romantic than getting married on a luxurious yacht drifting along the exquisite coasts of the Mediterranean Sea during a memorable sunset? It’s an international fact that the Mediterranean coast and the Greek Islands are the most romantic places for weddings or honeymoon vacation destinations. Mediterranean and Greek Islands just have too much to offer. The spectacular beaches, superb weather and extraordinary scenery, are just few of the natural beauties that you will experience. Beside all that natural beauty, Turkey has also a great value of culture which you will be able to observe along the coastal towns and villages meeting with the gracious friendly and hospitable local people. The delicious freshly prepared Turkish meals are just a royal feast for our guests. Unquestionably, Turkey is the best destination of all gulet cruise destinations. 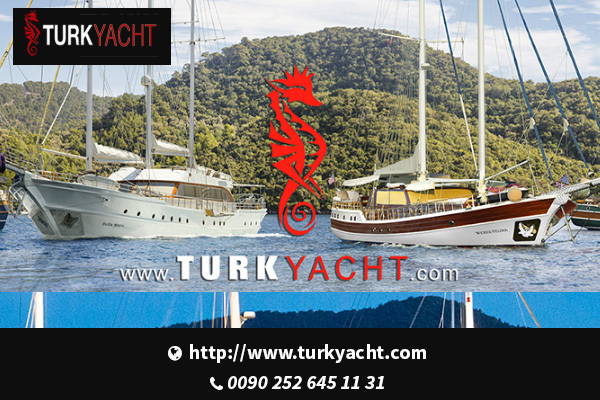 Turk Yacht with the its many alternative quality choice of gulets available, excellent on-board service and the best gulet charter rates is the expert that you can rely to experience the best trip of your life.